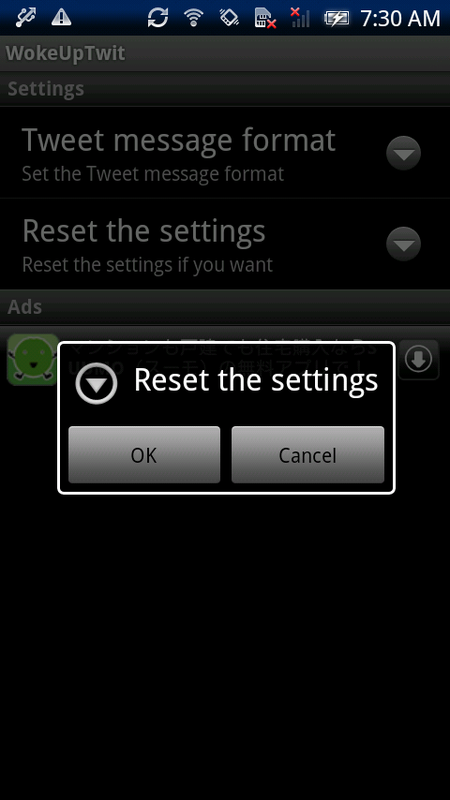 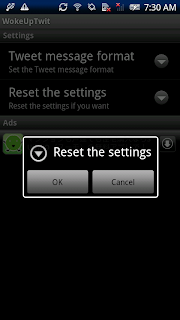 If you want to reset settings, select "OK". 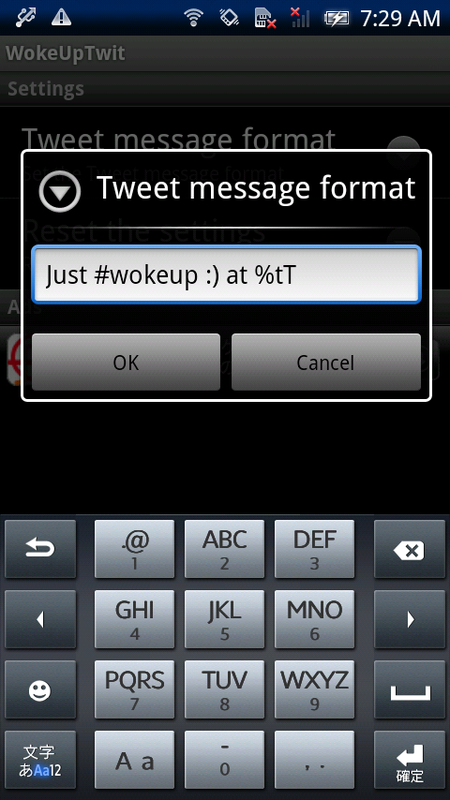 Install "WokeUpTwit" app & run it. 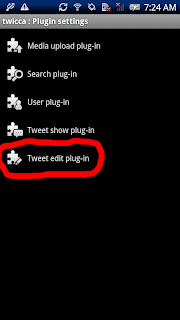 This app is for the twicca plugin. 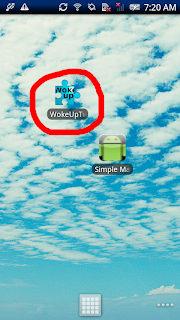 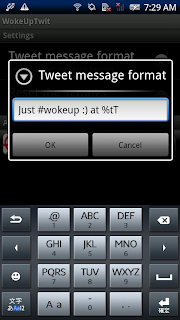 You can easily twit like "Just #wokeup" by this plugin. 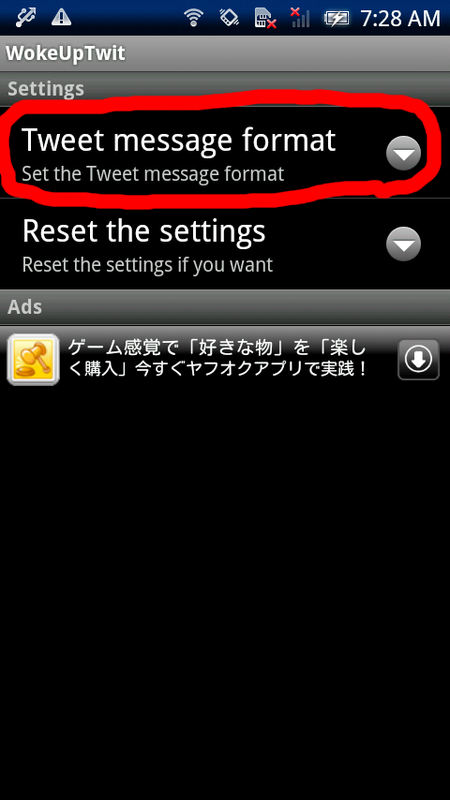 Of course, you can change the twit message format. 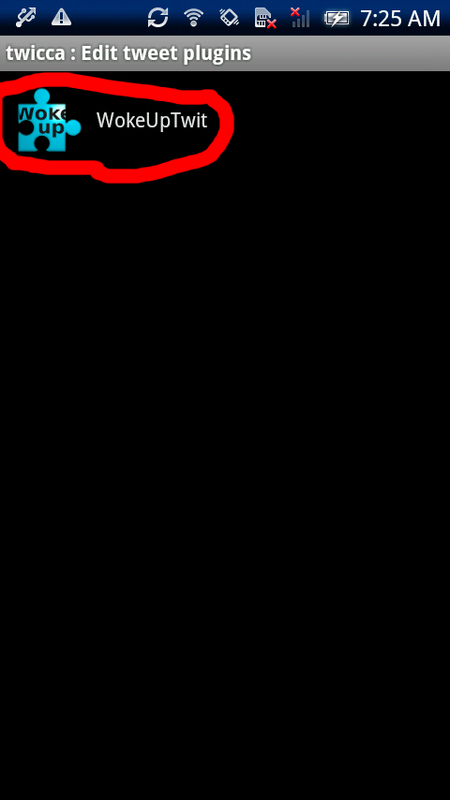 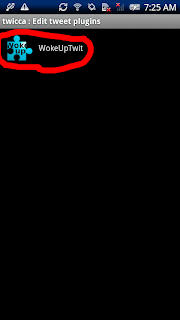 The format is using "java.util.Formatter". 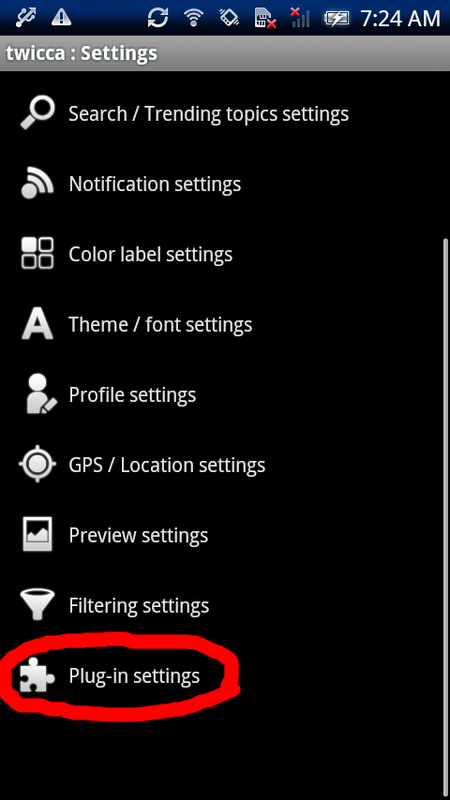 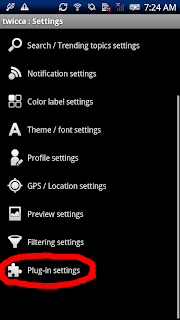 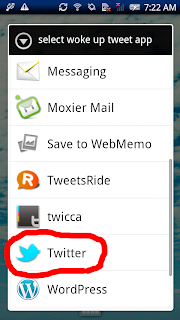 And this app can be used without twicca. 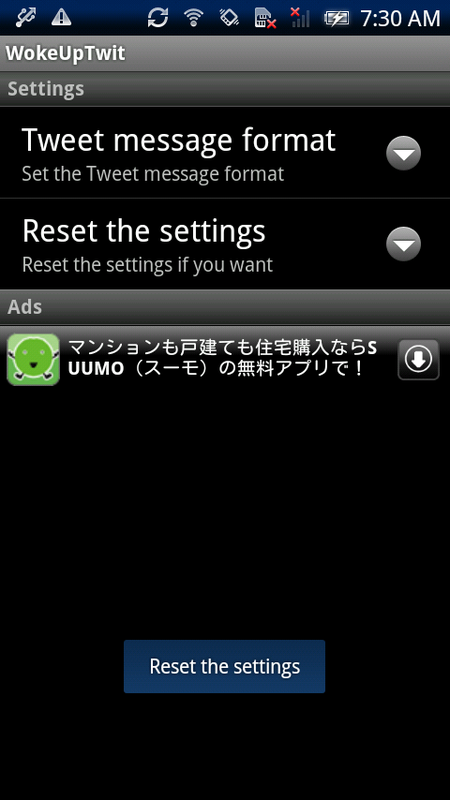 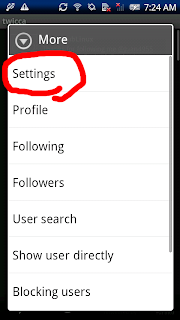 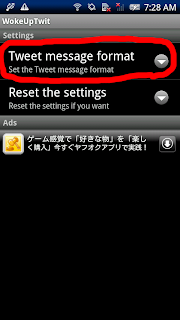 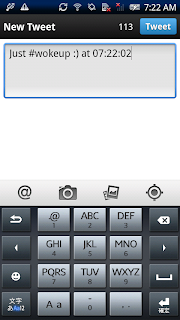 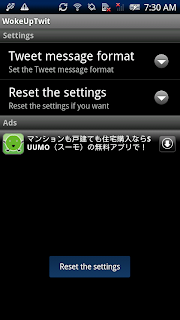 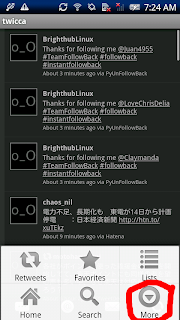 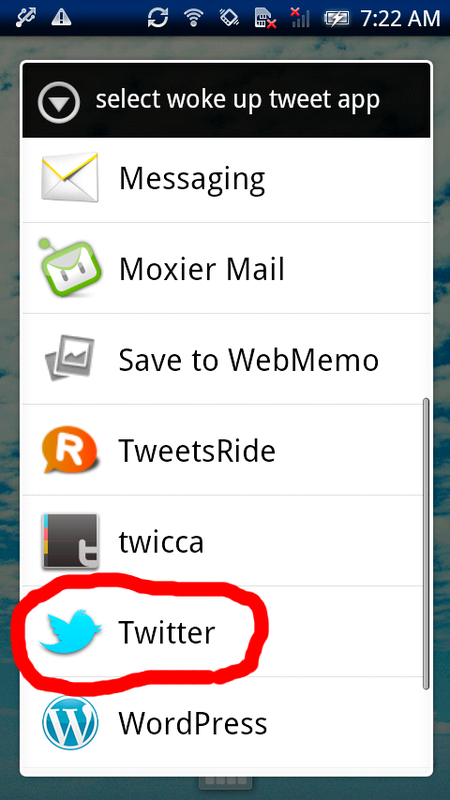 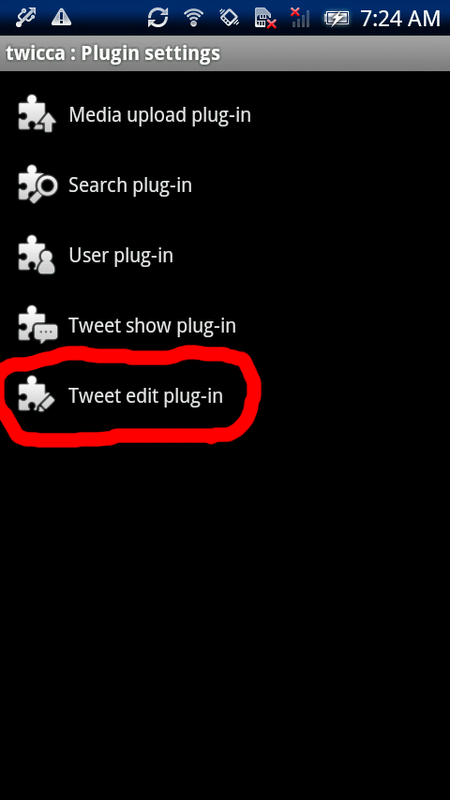 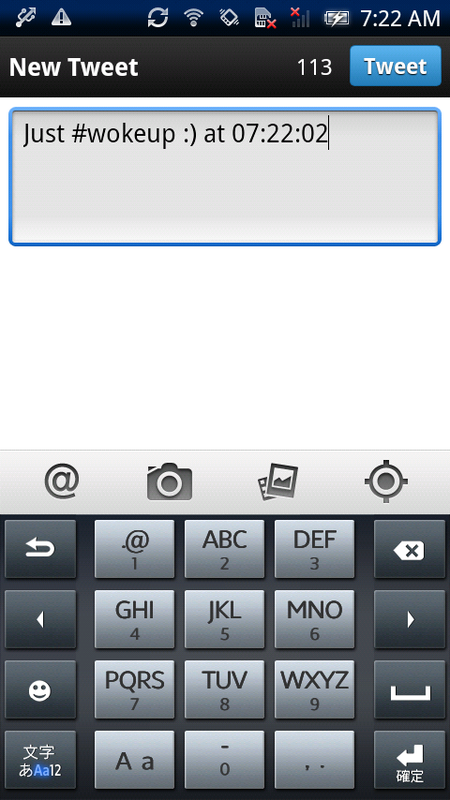 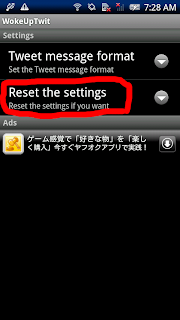 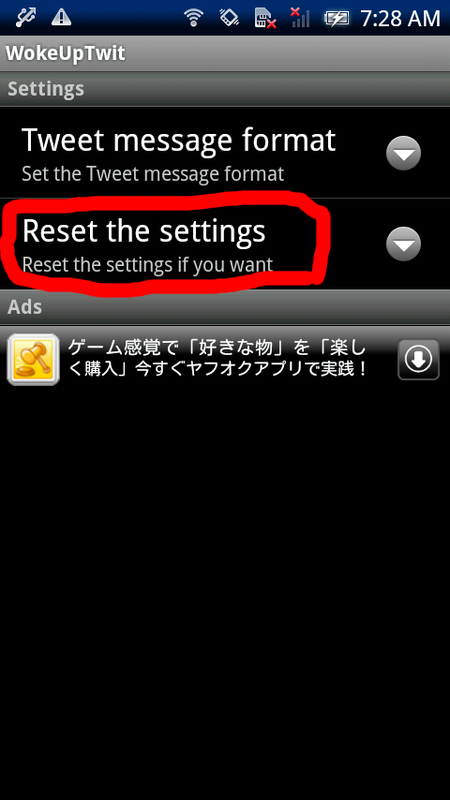 But the twit message format can be changed by using only twicca now. 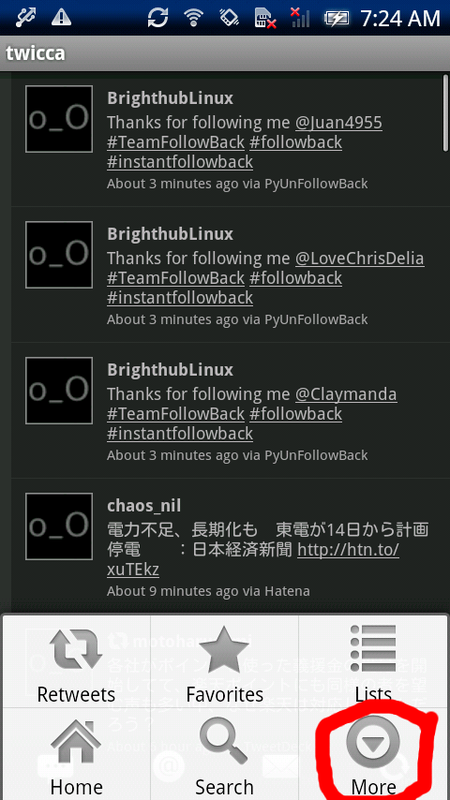 - Fixed can't quit bug. 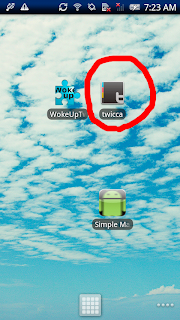 Of course,any comments are welcome!